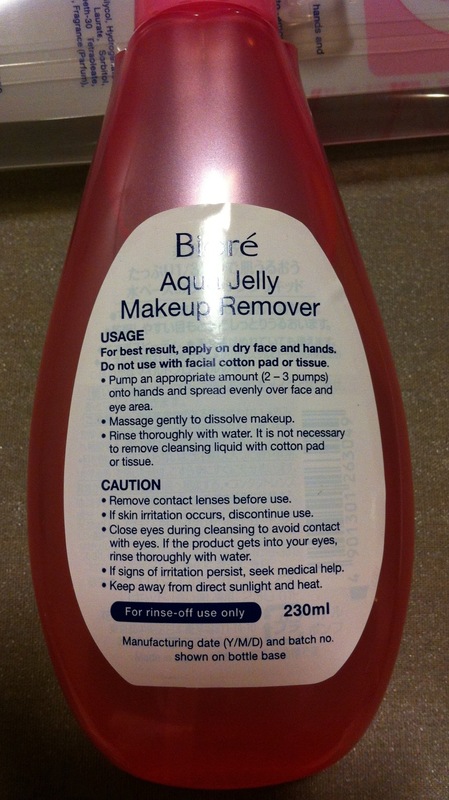 Biore came up with a new Aqua Jelly makeup remover recently and is available in Watson’s and Guardian stores. It retails for SGD 15.90 (if I am not wrong). 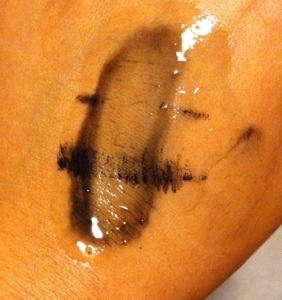 I have been using Shu Uemera’s cleansing oil for the longest time as it removes waterproof makeup with ease. 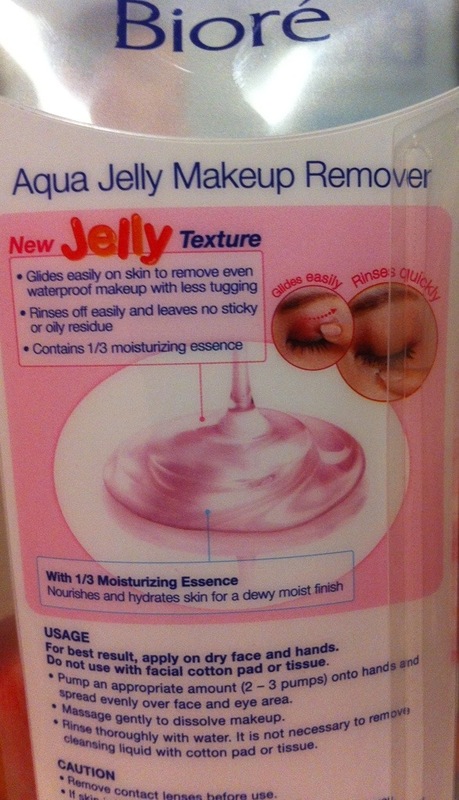 Aqua Jelly has now gone to the top of my list for all in one eye and face cleanser/makeup remover. With S.U, the cleansing oil does a good job with melting the makeup away, However, it can leave your skin feeling a little oily. 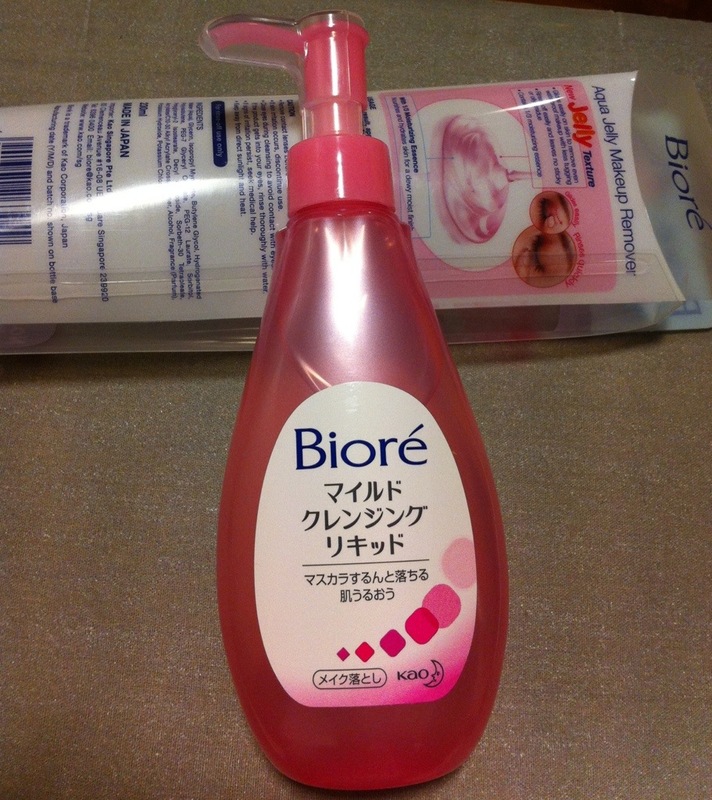 I have to use a separate cleanser sometimes if I feel that it strip my face to the extent that I would like it to. With Aqua Jelly, all it takes is 2 pumps on a dry face. Massage it in and I see all the makeup melt in seconds. I will then wash it off with tap water. My face feels squeaky clean, no traces of makeup or oil and…. The best part is that your skin is so tight, it feels like a face lift. Great for oily/combi skin. 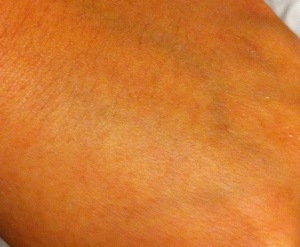 If you have dry skin, moisturizer after the aqua jelly will do the trick. 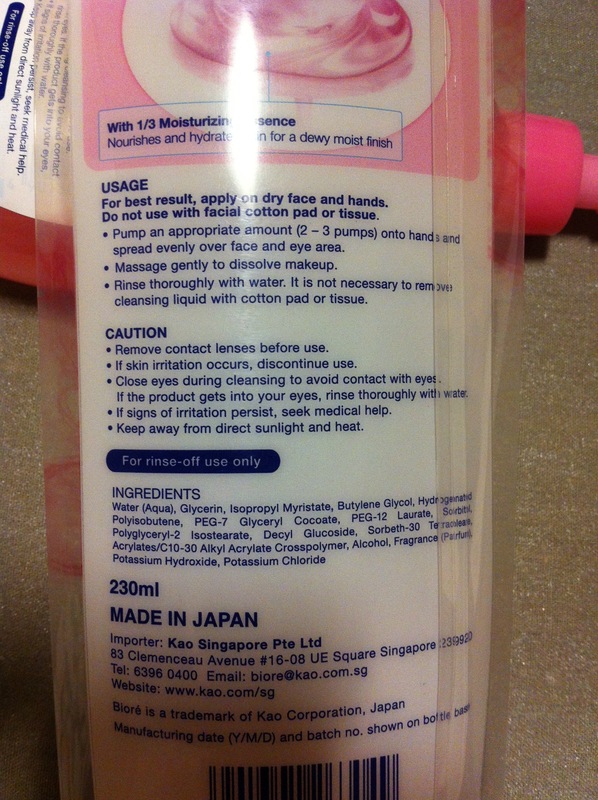 It comes in a big pump bottle of 230 ml and is made in Japan. Great product and I give it a thumbs up must have!! !